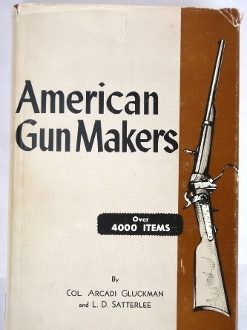 Book Details: This book serves as a reference and identification guide for gun makers. The sleeve shows wear with some edge curling & tears. The book itself shows some wear. Nice book for maker identification. No illustrations. Measures 6 1/2” x 9 1/2”.